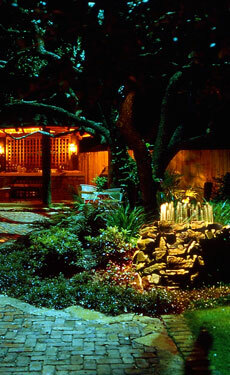 The purpose of AESTHETIC LIGHTING CO. is to use illumination as a tool to enhance the exterior setting: to create environments, to define architecture and to expose the beauty of the natural environment. By using our design knowledge with the available technology, we are committed to providing exceptional lighting designs for our clients. 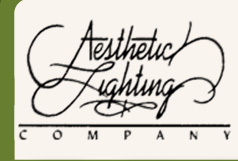 AESTHETIC LIGHTING CO. was founded in 1988, to serve the exterior lighting needs of commercial and residential property owners. Residential projects have ranged from residences to lavish estates on large acreage. Commercial projects include office parks, resorts, hotels, golf courses, high rises and master-planned communities in Texas, Florida, California, Mexico and the Caribbean. Hal LeJeune, founder and owner of Aesthetic Lighting Co. began his career in lighting in 1975, and has since worked as a designer on every conceivable variation of hardscape and softscape ex¬terior lighting projects. Years of diverse experience have given him a strong insight into project requirements and client expectations. His training and education include design theory and technique, analysis of product design, and durability, technical and electrical knowledge, and overall lighting system integration and installation. AESTHETIC LIGHTING CO. is a member of Illumination Engineering Society. This society furthers our education and growth, while continually exposing us to the latest products and pricing.